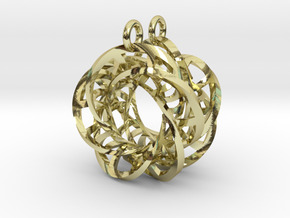 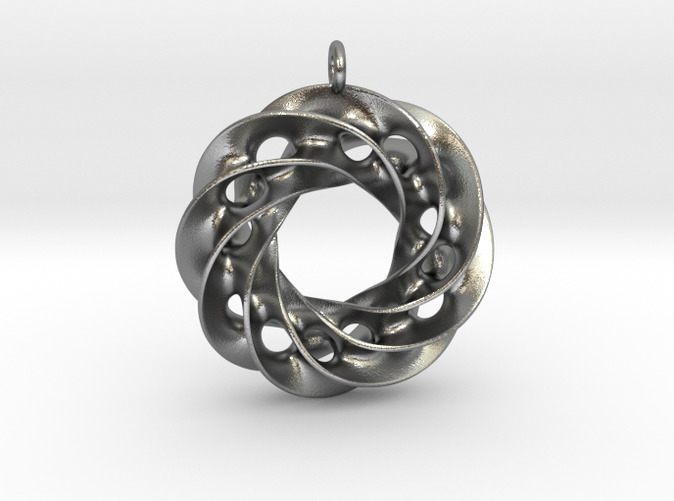 This is a pendant created from a 6 ended twisted Scherk saddle tower, mapped to the 3-sphere and then stereographically projected back into 3-dimensional Euclidean space. 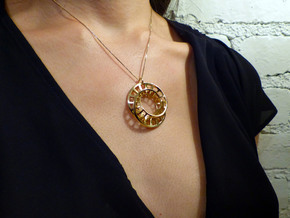 The boundaries of this pendant form two interlocking (4,3) torus knots. 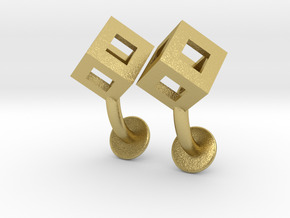 The matching earrings are available here.